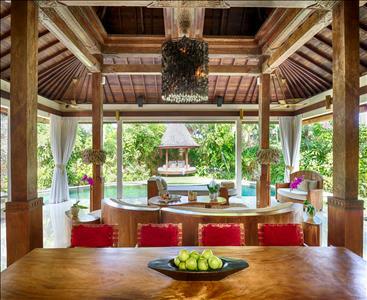 Discover the sophistication of Villa 6, right at the front of Kubu and perhaps our most requested villa. 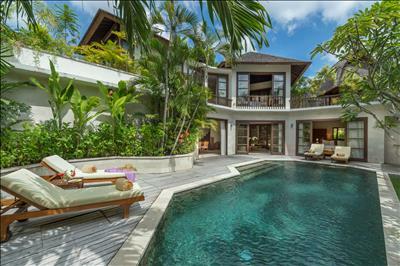 This 2-bedroom luxury villa with private pool is perfect for two couples or a family of four wanting privacy at night and the luxury of having two separate living spaces. Three stand-alone buildings house a pair of luxurious bedroom suites with vast bathrooms, and a third pavilion has a huge, light-filled, open-plan living and dining area facing sun-kissed gardens and a free-form pool; plus a large air-conditioned media room with flat screen TV and DVD, leading to a full-sized kitchen with its own separate entrance, perfect for when you summon our chefs and staff to arrange the dinner parties that Villa 6 is so perfectly suited to. 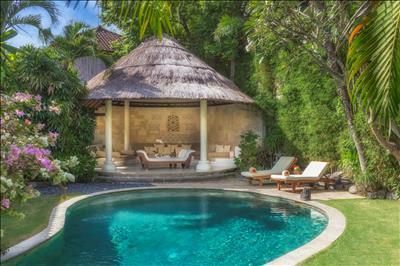 The lush, private, walled gardens host a traditional thatched balé, several unique, Koi-filled water features, individually hand-picked Balinese sculptures and a palette of floral delights such as Heliconias, Bougainvillea and blossoming Frangipani. 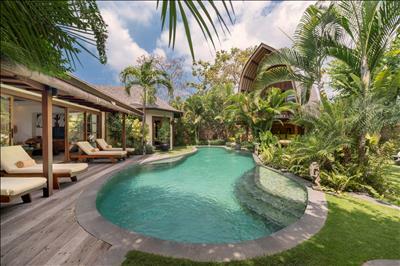 Villa 6 has a secret door that can open to our one-bedroom Villa 5, a perfect add-on for guests who need the extra bedroom for grandparents, friends or teenage children. 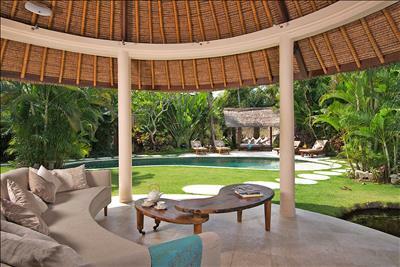 We love the staff at Villa Kubu. 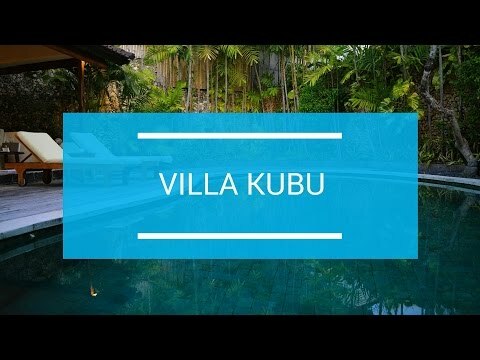 We love the staff at Villa Kubu, its like home, this will be our 7th stay, we will be back again.